Hong Kong faces an imminent waste problem. 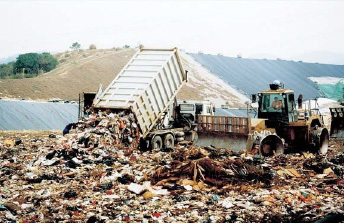 In 2011, over 3,500 tonnes of food waste, accounting for about 40 per cent of municipal solid waste, were disposed of at landfills every day. While the Government has been adopting a multi-pronged approach to tackle the problem, more action is required and active participation from the community is also needed to alleviate the waste problem. 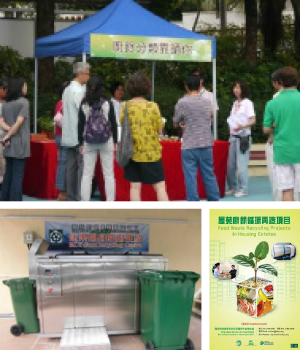 To take forward the Chief Executive's pledge1 to promote food waste reduction, the Environment Bureau announced on 3 December 2012 the setting up of the Food Wise Hong Kong Steering Committee. The Steering Committee is tasked to formulate and oversee the implementation strategies of the Food Wise Hong Kong Campaign, so as to reduce food waste to be disposed of at landfills. The Food Wise Hong Kong Steering Committee is to formulate and oversee the implementation strategy of the Food Wise Hong Kong Campaign to accomplish the objectives of the Campaign. 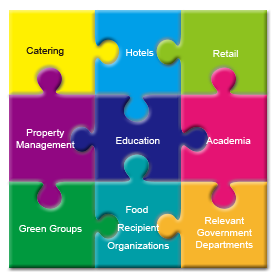 The Food Wise Hong Kong Steering Committee is chaired by the Secretary for the Environment, with members drawn from the relevant sectors including catering, hotels, retail, property management, education, academia, green groups, food recipient organizations and relevant government departments. 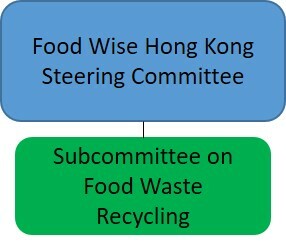 The Food Wise Hong Kong Steering Committee is underpinned by one Subcommittee, viz. to report to the Steering Committee on the progress on encouraging and facilitating on-site and/off-site recycling of the unavoidable food waste.